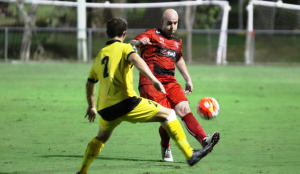 Royce Brownlie netted his first hat-trick of 2016 as Moreton Bay United stunned Premiership hopefuls Redlands United 6-2 at Wolter Park. The Jets cast aside recent form woes to run riot against the high-flying Red Devils – storming to a three goal advantage inside the opening twenty minutes via Brownlie, Jonathan Marraiya and Jordan Farina. 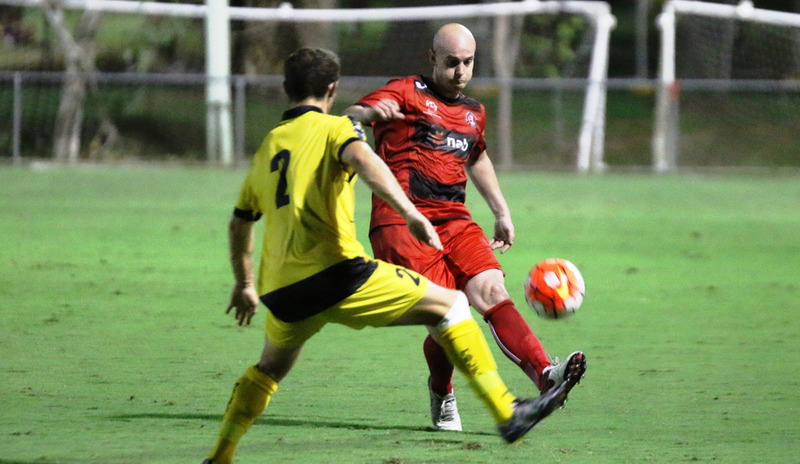 Brownlie struck again before half-time before Redlands finally responded either side of the break with goals from Michael McGowan and Michael Lee. However, a strong finish from the hosts saw the scoreline blow out in the concluding stages as Jackson Hall added his name to the scoresheet before Brownlie wrapped up his haul. The win sees Jets become the first side to record a league double over Redlands this season and lifts the Jets into fifth place and only two points outside the top four. For Redlands their second straight defeat sees them clinging onto third place on goal difference amd they could drop to fourth before round’s end depending on other results.